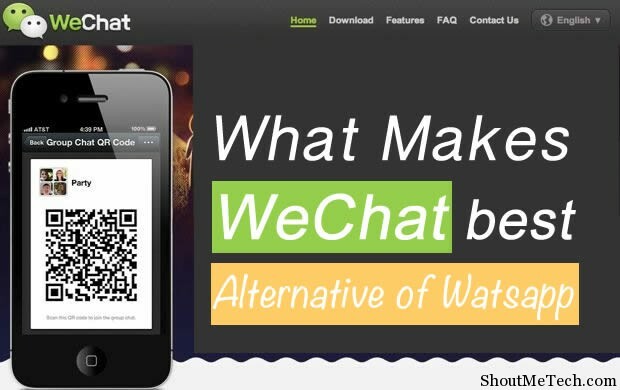 WeChat: What Makes it Best WhatsApp Alternative? The way we used to use our smartphone for SMS is changing with time, now users have shifted more to smartphone apps like Whatsapp, We chat, BBM, iMessage, Viber for staying connecting with their friends. This not only helped in lowering down our smartphone bills, but also made the interaction more interactive and meaningful. 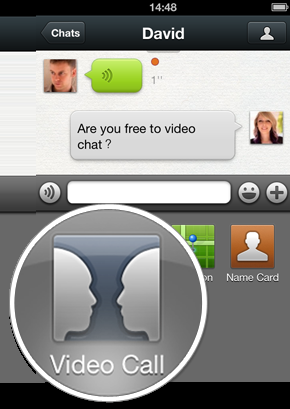 At the time of writing there are few smartphone apps which are ruling the chat apps segment. Whatapp being one of the most popular one and WeChat is catching up with number of features they are offering. In this article, I will be talking about features of Wechat and what’s making Wechat rising as one of the most prominent Whatsapp alternative. Whatsapp was first introduced back in 2009 and now has been downloaded more than millions of times. Every good thing has to come to an end sometime and as you might already been noticing, Whatsapp isn’t FREE after a year and you have to pay for it. 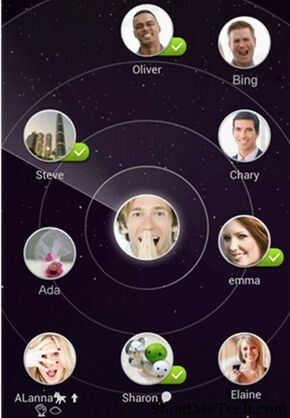 WeChat comes at time where Whatsapp has established itself, with features that are hard to be left ignored! We live in a generation where people don’t talk much in real life and a phone does everything for you available to your fingertips. So the competition would be more and would be much competitive in the Google Play store to dominate a niche. Whatsapp is the most widely used IM smartphone app right now and other app developers are coming up with new ideas and features to build something better than Whatsapp. While Whatsapp has recently been criticized for its lack of features and privacy as compared to We Chat, its time that we take a sneak peak into what makes it more attractive as compared to Whatsapp. 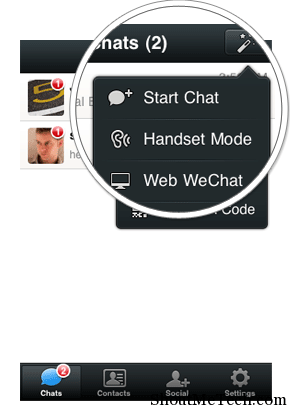 WeChat is supported above iOS 4.3, Android OS 2.0, Blackberry OS 5.0, Windows Phone 7.5 and until recently Nokia S40 (beta). To add to that the Web Chat feature lets you chat with a friend on the desktop browser; linking is done with your device via QR Codes. The Whatsapp IM client software is currently only available for Android,BlackBerry OS, BlackBerry 10, iOS, Series 40, Symbian (S60), and Windows Phone. Whatsapp has been seriously lacking a web app. You may go the extent of saying that who uses web on desktop these days? Is mobile going to kill PCs? No. There are estimates by analysts that there will be 2 Billion PCs in use by 2016. Why? Because many people, especially information workers, will still need conventional PCs for any intensely creative work at a desk that requires a large display or significant processing power. All you need to do in WeChat is select open in Web client, scan the qr code when you open web.wechat.com and you are good to go! So, Whatsapp is clearly lacking and is falling short in device support with the other covering every device you could almost imagine of. Also, very recently, it was even reported in The Wired, that Whatsapp has breached privacy rules and has gone so far as to store user contact details, which is strictly against the terms. Although We Chat has also been put over doubts of privacy issues by The Guardian, it is a bit more concerned with the citizens of China and no major issues apart from that. But the chat text encryption is pretty ugly in Whatsapp. And with my personal experience, it is more than easy to read other’s messages by knowing the MAC addresses and Whatsapp doesn’t encrypt chat messages for increased performance. Now that Facebook has acquired Whatsapp in a $19 Billion deal, privacy on Whatsapp is now under even more questioning than ever. Features and functionality is one of the major aspect of a mobile app and let’s dive into it right away. All your features described in detail below can be activated/deactivated with a click of a button at: Settings > Feature. If you don’t want to use these social add-on’s you can disable them easily. When you use social add-on’s, users who are not on your contact list cannot see your phone number. If you don’t like to share your phone number but want to chat with these users, you can use a WeChat ID or QR Name Card to mask your identity. We do have our gang, don’t we? 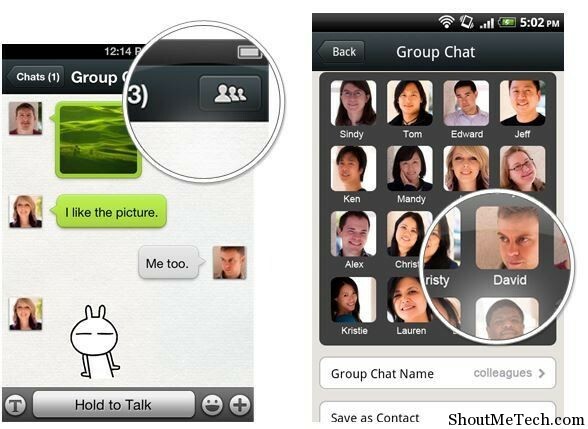 Group Messaging on Whatsapp is restricted to just 30 members. On We Chat however, you have the option of adding up to 40 members. Although We Chat offers only a little extra, still more is good. Group chats can be initiated via QR codes which you can email up to 40 friends to join in and chat. 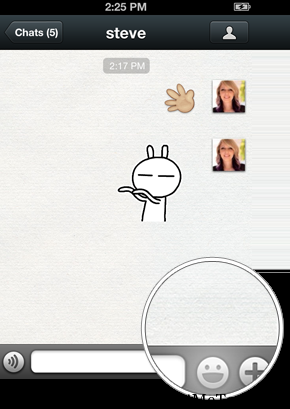 And it also comes with built-in stickers and custom emoticons for you to use. Apart from sending text, pictures, videos, audio clips, location data and contact details, it also supports Video Calls and also Live Chat where you can communicate with a friend like in a Google hangout. Unlike Whatsapp, this supports Video Call function over WiFi or 3G networks. You can now see each other while talking! Say goodbye to the regular hassle of typing and getting words wrong on your phone keypad. 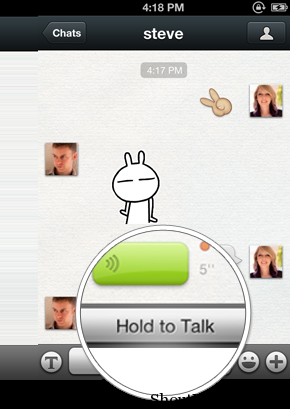 Using this app, you can now just press the “Hold to Talk” button, record your message and, puff, it is sent. Don’t make the mistake of confusing it with Voice Search. Your message actually goes as a voice recording and not as text after voice search. Speak your heart out now! We all love emoticons! Who doesn’t? Emoticons are our virtual expressions, expressions which are the heart and soul of human conversations. You don’t like talking to a robot, do you? They’re the perfect way to express your mood. While Whatsapp Emoticons are much loved, let’s go a step further. You can take any image of your choice, convert, save and send it as an emoticon! Adorable, isn’t it? Now I personally think that’s totally awesome! Don’t make the mistake of categorizing We Chat as ‘Just another IM’, its a lot more than that. Its also your social tool. We Chat, unlike Whatsapp is not just another instant-messaging app. The app supports social network integration and you can link the app to your Facebook profiles too. One reason we love Whatsapp is because it allows us to share images and video files so easily! But We Chat takes it 2 steps further. Now you can share not only with your friends, but with the entire world. Using their special feature called ‘Moments’ you can share pictures not just with friends, but with the world! It’s pretty much like using the Public feature on your Facebook profile. They are making all its efforts in their power to build a community around the app. No, that wasn’t a command, that was an in-app feature! Now get out (virtually!) and look around, meet new people around and make friends. It does not restrict to your network of friends but also helps you in expanding the network. Using the Look Around feature, you can look at the active users in a particular area and connect with them. 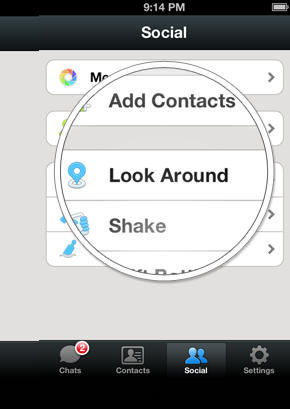 Select “Social” -> “People Nearby” and send greetings to them to befriend them. This is one feature I simply love! The Drift Bottle feature. 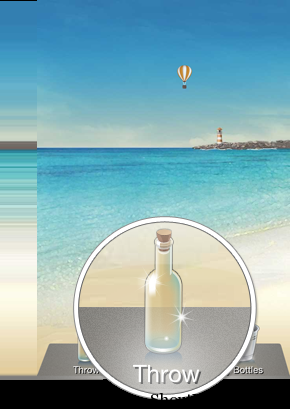 You can throw bottles into the sea with voice or test message. Once the drift bottle feature is activated and someone from anywhere in the world will pick it! You can pick others bottles too! How amazing is that! This is innovation at its best and packed into an add-on feature. Another not pretty useful but definitely a fun feature is the Shake Feature. This can get somewhat creepy but still a fun feature that exists. 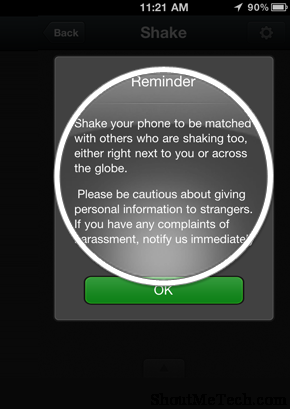 Users can just activate the feature and proceed to shake their phone. As they do that, if there’s anyone else anywhere in the world shaking their phones at that instant,their names will pop up on your list! Connect, send greetings to them and start chatting! In the latest version of WeChat, a new feature called ‘Walkie Talkie’ has been added for live chat, that gives the essence of talking on a Walkie-Talkie. All you need to do to enter this mode is Hit ‘+’ in a group mode and select ‘Live chat’, an instant message will be sent to other members as an invitation to join. Only one person can talk at a time, as we know about Walkie-Talkie’s and same goes here. All you need to do is hit the big circle when the light turns green. Reed indicates engaged more or someone doing the talking, so you need to wait until the light turns green again. A fun way to interact with friends! 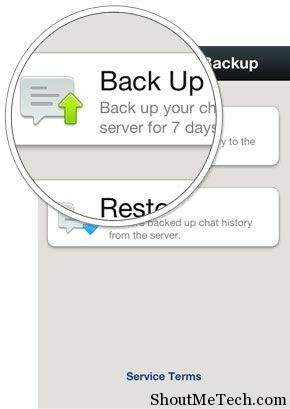 Now WeChat offers one-click backup and restore facility. All you need to is to enter Settings and find ‘Chat backup history’. Hit ‘Backup’ and select your friends whose chat history you want to backup and hit ‘Ok’. Restoring is almost a simple process, all you need to do is select ‘Restore’ and the app completes the restoration from their server. You can also set a password for your chat history backup taken. It happens many a times that you find something amusing while chatting and can’t find it when wanting to access it at a later time. It is not feasible to sift through hundreds of messages to find that one message. 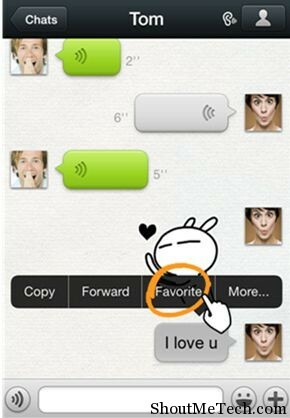 Now WeChat allows you to save your favorite messages for later access. All you need to do is select a message and hit favorite. These messages can be accessed later from Me -> Favorite messages. 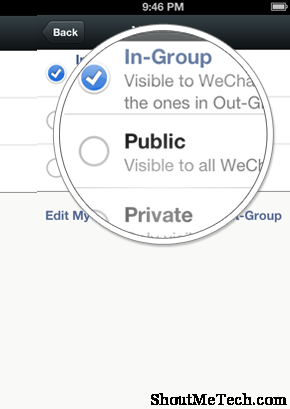 WeChat now allows users to broadcast messages to multiple contacts at a time. All you need to do is enter General settings and select ‘Broadcast messages’. 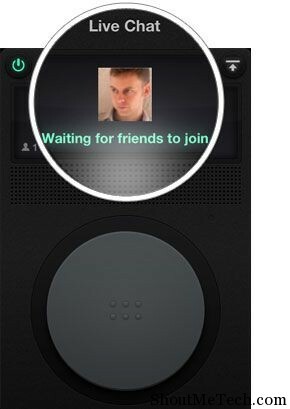 You can enter the message and select multiple contacts to Broadcast messages to all of them at once. Now this is a feature that may be not be of utmost value, but still might find its use for some of them. 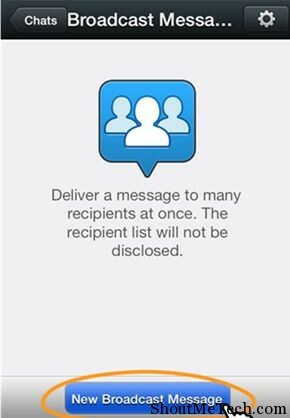 You can add people to your contacts list by telling them to hit ‘Friend Radar’ in ‘Add contacts’. 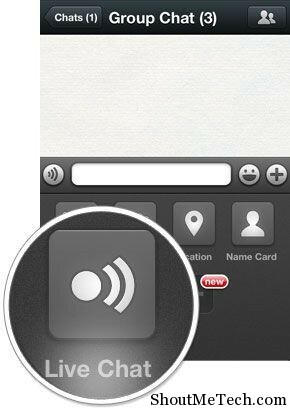 It will show up your friends using the same feature at that time and you can add them to your contact list. As we have already covered above about the Web client, just a short look-back into it. Can’t keep juggling between your PC and your phone? Don’t bother. Simply log into the profile through your PC and continue your conversations. While a back-up is the conversation is created on your phone, all records are deleted from your system. Web Chat also lets you send files to your device and there is a handy browser plugin called Web Grab that lets you shake webpages from your desktop browser into your phone. Do you still remember Whatsapp after going through all this? I guess not! A fun, absolutely Free mobile/web IM app right now is this app. Not just a Whatsapp alternative, it is much more! In July 2013, Tencent, its maker, announced that they have crossed 70 million users outside China and Lionel Messi became the latest product ambassador. Now this is one of the fastest growing community of worldwide mobile users and is sure to grow more from here. That’s us. What about you? Have your say on this topic and what do you love more? Whatsapp or We Chat?